Trying to visualise what it would look like before cutting. You can see how terrible the lawn looked here before I started work. Preparation involved digging down which was harder than you would think. 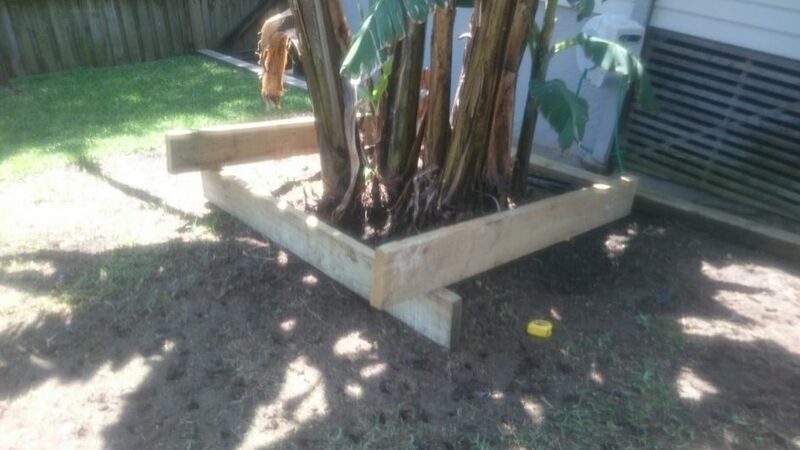 So much of the banana tree underground had to be removed.